When it comes time to sell a home, obviously the owners will want to get the most amount of money possible for the property. Those who are buying will not necessarily want to pay top dollar, but smart shoppers will recognise the difference between homes for sale with beautiful facilities and homes for sale that will require much more time and energy put into them to bring them up to their own high standards. For an owner, one way to attract a higher price for their property is to complete a few easy upgrades before putting their home on the market. Painting the walls, improving flooring, changing light fixtures, swapping cabinet handles and upgrading landscaping are just a few ways that someone interested in selling their property can increase it’s appeal – and asking price – among those interested in buying. Painting all inside walls a nice clean white helps to increase not just the brightness of a room but the perceived size of a room as well. A fresh coat of paint is an inexpensive investment and this upgrade can be completed in just a few days. 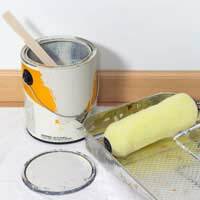 However, be sure to take all corners and borders correctly and factor in a number of days for drying so that there are no potential buyers who will view your home while it still smells shockingly of paint. Its highly unlikely that home owners will ever need to take out second mortgages to improve their flooring so this is another improvement that can be completed quickly and easily yet still add great value to a home. New throw rugs or carpet, perfectly waxed wood floors and even inexpensive runners on the stairs all help to add a fresh look to a home and help buyers see all of its possibilities. Old, clunky light fixtures can easily make a home seem dated. By changing the fixtures to a more modern design home owners can again entice buyers with the property. This doesn’t mean that the new light fixtures need to be incredibly expensive or trendy, but rather a middle-of-the road style that would work with most design schemes is particularly enticing. A quick flip through an interior design magazine or a browse in a home goods store should help home owners narrow down the best options. Much like light fixtures, the kind of handles that are present on both kitchen and bathroom cabinets can make a big difference in transforming a home from slightly dreary to totally dazzling. Slim handles with clean lines will often help a room appear larger and more modern, but more important is to match up handles with the cabinets themselves. Bringing pictures while shopping for handles is a good way to make sure that the best handles possible are selected. Homes that have gardens attached must make sure that the grass, trees and flowers are at the very least neat but hopefully also attractive and decorative. Again, home owners shouldn’t spend the equivalent of their mortgages on upgrading their landscaping but seeking the advice of a few gardening manuals, green thumbed neighbours or even an experienced landscaper for a few days could make quite a bit of difference to the final sale price. Home owners who are interested in getting the best price for their properties should consider a few easy upgrades before selling. Painting the walls, improving flooring, changing light fixtures, swapping cabinet handles and upgrading landscaping are all ways that home owners can add value to their property without spending too much time and energy to do so.